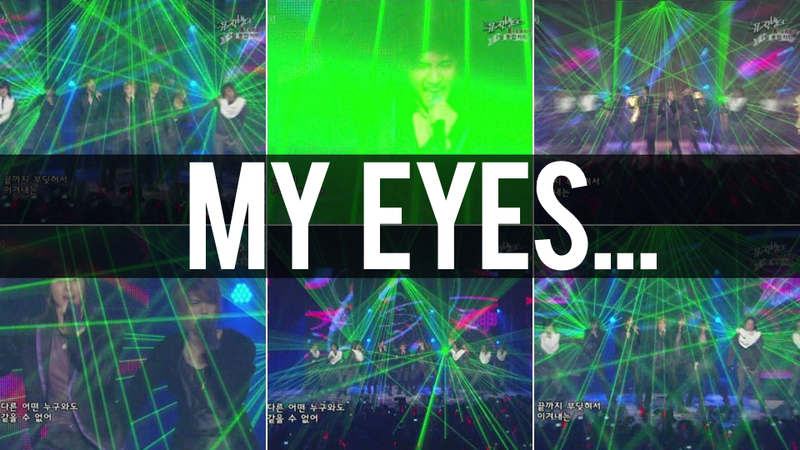 Korean boy band Dong Bang Shin Ki (DBSK or "Tohoshinki" in Japan) unloaded a laser light SPECTACULAR during a broadcast on local television. While the show took place in 2008 (so old! ), it's recently become a meme in Korea, where it continues to amuse the internet — especially of late. The show inspired Photoshops and comparisons to StarCraft, Gundam, and Star Wars. One Korean forum member even quipped, "The audience gets free LASIK." Watch the clip below — with goggles, preferably. Ze goggles, zay do nuzzing!!!! Brain bleach required. When does it stop being a boy band and start being a band of boys. Geez, they have enough members yet? I don't even know if I counted right. Was there eleven of them?? Please don't do that again Brian. Stick with your forte, the lolicosplay.